Gene Kendall here, with the beginning of what might become a regular segment. Or just a one-off we’ll all forget. For the past few months, I’ve been revisiting the Marvel run of G. I. Joe on my Twitter feed. One aspect of those early issues that deserves attention is the animated commercials commissioned by Hasbro for the series. Even today, television ads for comics are something of a novelty. As far as I can tell, before this commercial for G. I. Joe #1, they simply didn’t exist. It’s no secret these comic book ads were toy commercials in disguise. The FCC regulates how many seconds of animation can be used in a toy advertisement, demanding the toy companies actually show the physical product for most of the ad. Someone at Hasbro had a stroke of genius -- no one’s ever advertised a comic book before. The FCC can’t really say anything about a category of advertising that’s totally new. No regulations, no worry. And, conveniently, the ads for the comic will feature whatever the latest figures and vehicles are on sale. Hama did imply in one of the G. I. Joe letter columns that the comic ads were thankfully over, giving him more freedom with the stories. If he had his way, I’m sure he’d never want to deal with them. That said, these commercials helped the comic (and the overall comics industry) immensely in the early 1980s. G. I. Joe #1 sold out in a few days, it’s been reported. 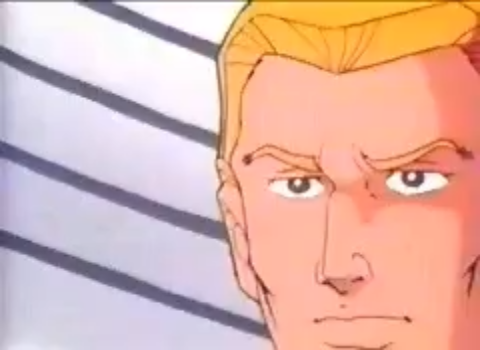 Interestingly, Buzz Dixon of the G. I. Joe animated series has indicated that having a Marvel comic released before the cartoon was another ploy on Hasbro’s part. Advertising for toys based on cartoons was heavily restricted before President Reagan’s deregulation of the FCC. Dixon says Hasbro was free to run G. I. Joe toy commercials whenever, even before deregulation, due to the pretense the toys were based on a comic book and not an animated series. 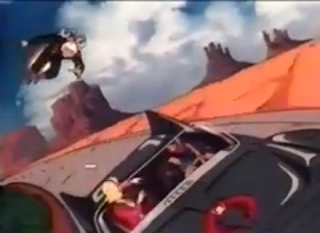 Fans of the animated series will notice a strong similarity between the show and the style of the commercials. 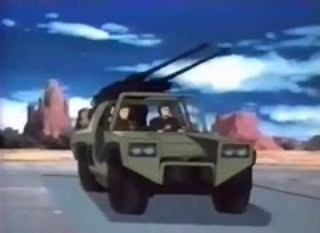 Most of the character models were unchanged once G. I. Joe became a regular series; although most of the episodes lacked the budget for this caliber animation. The most glaring deviation comes in the model for Hawk. 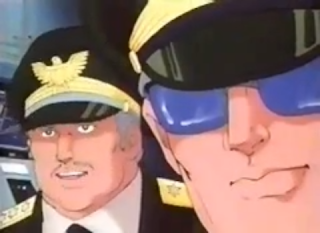 The character wasn’t considered a priority by the time the cartoon began, so he was replaced by Duke, quite literally. Hawk’s face was attached to Duke’s hair and uniform beginning with the first miniseries. Assuming no kids would remember the faraway days of 1982, Hawk reappeared in 1986 with a totally new design. So, how much of the original ad actually influenced the comic? Well, Larry Hama’s a pro, so he works in a healthy amount. 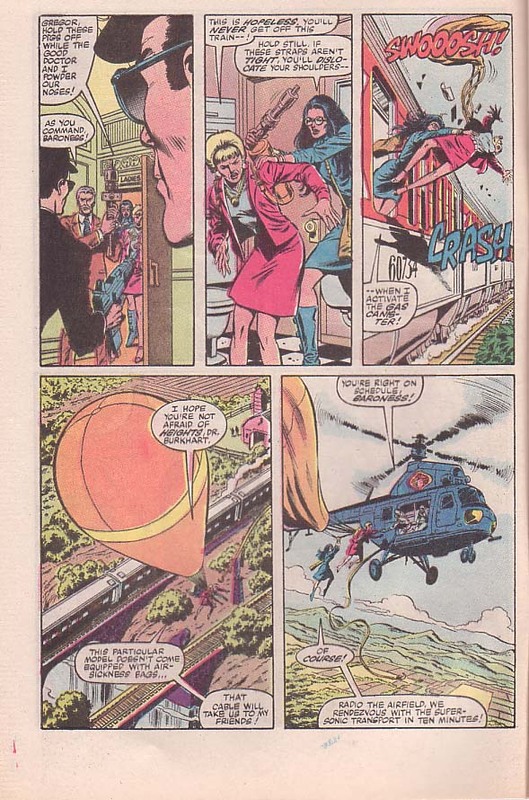 The basics are the same: Cobra has kidnapped a scientist from a moving train, the Joe team is assigned the mission, a battle ensues at an ancient fort, and a member of the Joe team pursues a departing sports car, flying through the sky in his JUMP jetpack. It’s a showcase of the initial 1982 line of Joes, animated with a budget unimaginable to kids of the Hanna-Barbara and Ruby Spears generation. Actually, check out any Youtube archive of Saturday Morning commercials from this era. Toucan Sam, Geoffrey the Giraffe, Snap, Crackle, and Pop…they all look cheap. Hasbro knew the importance of quality animation for this experiment; cut-rate animation would make not just the comic but the entire line seem low rent. 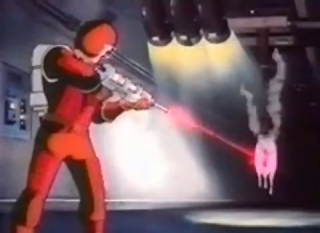 Hasbro was one of the first (if not the first) company to contract overseas animators for these ads. Within five years or so, contracting all of the animation in kids’ commercials to Asia was the standard. The visuals of the comic, especially when viewed through the crude printing of the era, can’t really compete. The commercial is one stunning image flashing at you every few seconds; the comic is a coherent story, rendered in a traditional comics style, with the low production values readers of the period just accepted as an aspect of the hobby. The Joe team is assigned the job of rescuing her. And, given Dr. Burkhart’s public stance on the military, some of the team members resent the mission. Snake Eyes even suggests (back in the days when he used to write notes and use sign language) that a tactical nuke over Cobra’s island could solve all of their problems. 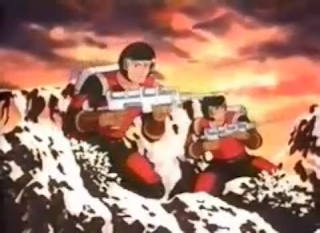 In two separate scenes, both Hawk and Stalker lecture the Joes against this thinking. They’re not here to take the jobs they want, to protect the citizens they personally like…they’re soldiers. They’ve sworn an oath to protect every American’s rights. If you’re familiar with 1980s Marvel, you might be aware of editor-in-chief Jim Shooter’s fondness of the “I can’t…yet I must!” conflict. Shooter, at least according to John Byrne, felt this was the essential conflict in storytelling. It’s possible Hama conceived of the Joes taking a mission they don’t really want as a means of conforming to Shooter’s rule. (Byrne says Shooter became adamant that every comic must feature this conflict.) If so, it’s another example of Hama taking in outside mandates and incorporating them, with no obvious stitching, into his work. With the thinking of “why not?” he made this new villain a leather-clad female with eyeglasses. 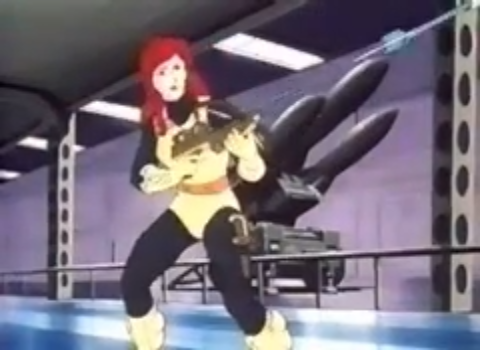 I doubt he did this intentionally, but the Baroness’ visual sums up the reality of Hama’s G. I. Joe -- all elements of fantasy must have some form of reality attached. Baroness dresses like a fantasy comics female, but is also nearsighted and not overly considered with stylish eyewear. It’s a shame these ads can only be found on VHS-transfer quality on Youtube. These are likely the best versions we’re ever going to get, because Hasbro didn’t preserve (some say didn’t save at all) the original masters. Hasbro was smart enough to preserve the actual episodes of the series, but the commercials were only meant to be viewed for a few weeks and that’s it. 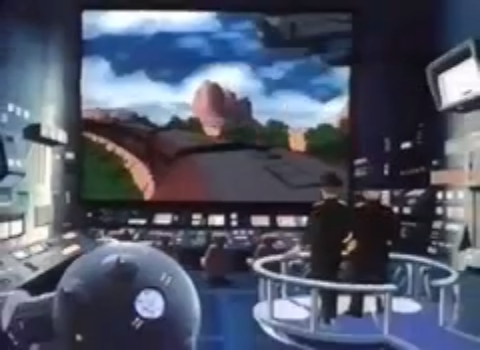 Even if they spent a pretty penny on that animation, who would want to view these things decades later? No one, surely. 3DJoes deserves a lot of credit for archiving the best quality versions imaginable, given the circumstances. And, hey, while I’m going on about G. I. Joe, I should mention that my Kindle Worlds novel (which I’ve spoken about earlier) is now available for free on Smashwords. And the follow-up is almost here! 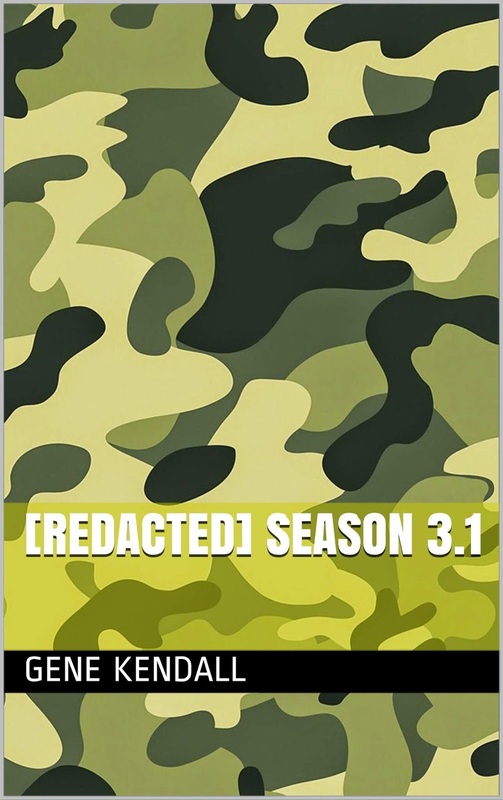 I’m not attempting to court any lawsuits, so the rest of the series is also going to be available for free, with no mention of the Joes in the official title. Check out the continuing chapters at my Smashwords page. If you have any feedback, I’d love to hear it. Wow, I had no idea that this limitation upon Hama existed. (On top of all the other restrictions and mandates.) That's wild. I hope you'll continue this series. I actually just read the early Hama GI Joe issues (up to issue 50) for the first time recently, so this is all fairly fresh in my head. I'd be fascinated to learn more about what storylines and sequences were actually forced on him by these ads. I too vote for you to continue this series in some form. the Baroness’ visual sums up the reality of Hama’s G. I. Joe -- all elements of fantasy must have some form of reality attached. Hama's intent or not, that's a fantastic observation. It would also be really interesting to see how well that idea holds up later in the series' run, when things get ever more outlandish & ninja-y (and the Transformers show up). The Baroness was one of the characters who got me interested in the franchise. Crazy that she was just made up on the fly for the commercial and eventually became a mainstay of the toy line as well as the comic. I also vote to continue covering this material or more Joe stuff in general. Good to see you are making as sequel to your own G.I. Joe story. The first one you wrote was excellent. I have heard that Larry Hama initially pitched his idea for GI Joe as a continuation of Marvel's SHIELD. Shooter (or some editor)told Hama that SHIELD was being used in a different direction at that time, and those characters were unavailable for usage. Then, the editor gave Hama the idea that maybe he could develop his idea for SHIELD in to the up-coming GI Joe comic book. If this is true, then you can see how some characters were probably meant to originally be Marvel Universe characters before Hama changed them. It's possible that Baroness was originally meant to be Marvel's Viper in Hama's early stories. He recreated Viper in to a different character which became Baroness. I think it's easy to see the similarities. Thanks, guys. I'll try to see if there any other commercials that might work for future segments. Isn't this how the DC Earth-Two and the whole shebang came along? Infantino and Schwartz would always try to top each other. Infantino would draw increasingly wild covers and challenge Schwartz to write a story about it. This game culminated in the now-famous Flash of Two Worlds cover, featuring both the Golden Age and Silver Age Flashes. He handed the artwork to Schwartz triumphantly and drove home. By the time he got there, Schwartz was on the phone with a story outline. That was the end of the game, but the beginning of the Earth-2 concept, which led directly through “Crisis on Infinite Earths,” “Infinite Crisis” and ultimately to the current “Countdown” storyline. All because Infantino tried to out-clever Julie Schwartz. Thank you for posting this unexpected surprise.